Be a hero in the ultimate game. Are you a top-rated gamer? Then you might have the skills to play the Game...where players are sponsored by actual demon lords, gods and goddesses, or Lovecraftian nightmares. Enter Thera, a real kingdom at the crossroads of many other worlds, but with all the augmented-reality interfaces, character progression, and game mechanics that players know and love. The year is 2245, and the world has undergone explosive growth in multiple industries. The age of Virtual Reality came long ago, opening up new fields for people to enjoy and seek employment. There were even those that chose to sacrifice their physical bodies, becoming digital existences that lived within Internet communities. But with the age of VR, everyone still dreamed of that next step, the next level of adventure. Nineteen-year-old Ryuk Matsuzaki and his best friend Tamana decide to start over with new avatars. When Tamana is suddenly killed right in front of him in a Tokyo subway, Ryuk knows there is only one place he can search for answers -- Tritania, the world's most popular online fantasy world. Standing in his way are a mysterious guild known as the Shinigami, and his older brother, a Yakuza crime lord hell-bent on squashing his dreams. In 2056, the world's most powerful AI System, ARKUS, comes online. Created to extend human lifespans, it quickly makes world-changing discoveries in health science. It also develops an advanced VR headset...to let users experience time faster in virtual worlds.... Two years later, ARKUS releases World-Tree Online. The game's time-dilation makes...one hour of playtime feel like one month, allowing humans to virtually extend their lifespans. After an old gamer named Vincent joins the game an update begins that stretches the time-dilation to one year for every five seconds. 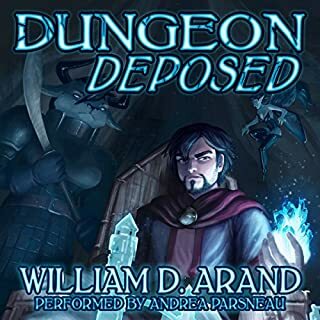 a great addition to litrpgs. Alex is one of us. An office rat during daytime, he spends sleepless nights playing his favorite MMO game: a familiar, predictable world which is about to collapse. A new virtual universe arrives to replace it, aggressively devouring all others: the Crystal Sphere. Alex gets involved in testing new technologies which promise to revolutionize gaming. Fitted out with a neuroimplant which provides a 100 percent authentic experience, he has to survive in the Crystal Sphere against all odds. For over 30 years, Dominion of Blades has been the hottest online role-playing game in the world. But the game is too real for some, and after an epidemic of real-life fatalities, public use of the immersion technology has been banned. Jonah wakes to find himself in-game, level one, with no memory of how he arrived and no way to eject. 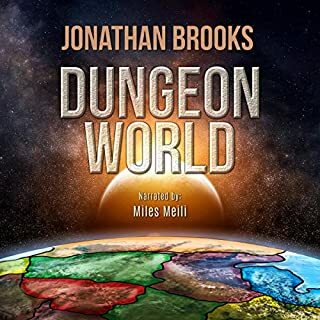 With only two companions, trapped in a world that once hosted millions, Jonah must battle his way across a treacherous landscape, fighting virtual monsters, all too real pain, and a very human enemy. Advances in technology have led to the creation of ever more realistic virtual reality games, but now Full Immersion Virtual Reality is finally coming true. Join David and his oldest friends as they sign up to beta test the first game of its kind. Last Horizon will give the old gamers the chance to live out one last adventure together. Tad Lonnerman is having a crappy day stuck in crappy traffic late to a crappy meeting. On the bright side, his game development career is the only non-crappy thing he has going for him, so life isn't all bad. At least until he dies. Now Tad finds himself uploaded to a beta test of Haven, an unannounced hyper-immersive MMO where the dead have a second chance at life. It's not virtual reality, it's digital reality. A true afterlife online. Except Haven isn't exactly blissful paradise. The never-ending wars, pollution, and overpopulation of the near future have caused the outdoors to become uninhabitable, and the government is forced to create a new world, a virtual existence that allows civilization to continue. Shopping malls, schools, concert venues, and religious gathering places all exist in the infinite confines of this new reality, yet the most popular domain for most teenagers is the one that houses the endless array of digital games. When the sequel to a popular title is released to the public for a special beta test, a group of players eagerly log in to try out the new experience. What seems like harmless violence quickly turns all too consequential when the players realize the game's biggest error: They can't log out. Forced to battle their way through an endless army of monsters programmed to kill their avatars, the players must fight against the clock and find a way out of the game before the real world catches up to them. What made the experience of listening to Level Zero the most enjoyable? This is a lot different from a lot of LitRPG stories. Your hero isn't here to be one and he's good with that. What other book might you compare Level Zero to and why? The premise is different from the mainstream of the genre so it'd be hard to directly compare. What does John Pirhalla bring to the story that you wouldn’t experience if you just read the book? John does a pretty solid job with personifying the characters, I wasn't left wondering who'd said that. Jaron did a great job with the characterizations, just because I didn't LIKE some of them as people doesn't mean he didn't do his job! Gap filler for those waiting for other series. Off the back read the chapters as normal numbers vice reading the binary each time. It jars you out of the story flow to hear a string of 1's and 0's. What could Jaron Lee Knuth have done to make this a more enjoyable book for you? The begin drags a bit before getting to the setup. It could have used a little more player interact with other parties. What three words best describe John Pirhalla’s performance? 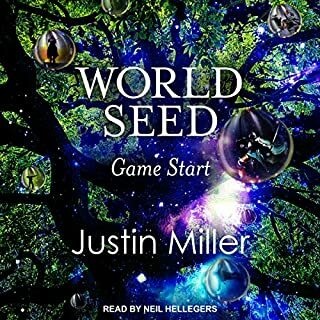 Was Level Zero: A LitRPG Adventure worth the listening time? Not a lot of RPG elements. This could have easily been trapped in a first person shooter. 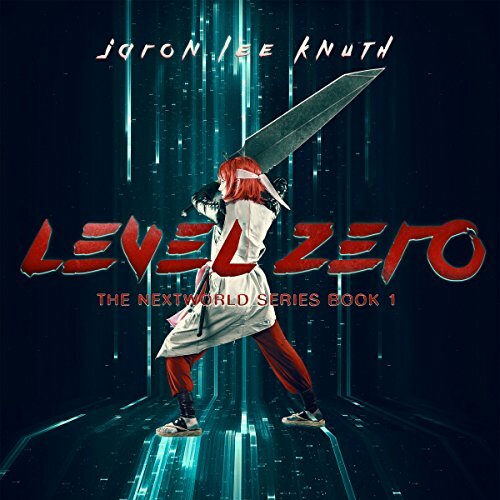 “Level Zero” is a coming of age Literary Role Playing Game (LitRPG) story which is the first book in the NextWorld series. The book is written by Jaron Lee Knuth and the audiobook is very well narrated by John Pirhalla. 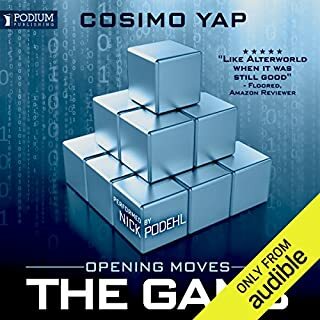 The author has quite a few books under his belt, however this one appears to be the only book currently available, at the time of this review, in audiobook format. 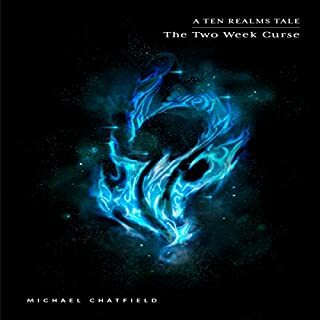 I assume the author and narrator will be bringing the second book in the series (Spawn) to audio in the future. If you enjoy young adult (YA) coming of age stories that have science fiction and gaming elements with an interesting Blade Runner look and feel, I believe you will like Level Zero. Even though the book is the first in a series, I felt the story concluded quite well for the first in a series with the author giving us a view into what to expect in future books. That is to say, this book could be read as a stand-alone novel without any cliff hangers or other aspects requiring you to read the other books in the series; but I would be surprised if you did not want too. When binary numbers are used for the chapter titles, you know you are in for some computer gaming fun. The main character is a fifteen-year-old who lost one of his parents and is estranged from the other; who is a highly politically involved individual. Our main character has a single friend in the world and they both enjoy putting all their time in to playing virtual reality games for escape. Although it sounds similar to all the other dystopian coming of age books in the genre, the author is able to set his story apart by creating a rather unique and different world from the others. In this story, the world outside of their living space is crumbling and becoming toxic. However, the space outside is filled with cable and wires providing feeds for the ever-present virtual world; think of it as the Internet times ten. A person is given a small physical living space for storage, sleeping and eating. Each room also comes with a pod allowing a person to jack into the virtual world. Food, Vitapaste, is provided in a protein paste format used to sustain everyone; yummy. It is a rather grim and dirty world, and that is why so many want to escape to the ever-growing virtual world. Everything from meeting up with your friends, education, work, and even religion occurs in the virtual world. The pods are programmed to terminate your virtual connection when food or sleep are required as a safety precaution. The world has a very socialistic feel with the government running, providing and overseeing nearly everything. When a new beta world is available to only a select few, our characters jump at being given the opportunity to join. Once in the new game, things go from bad to worse as they become trapped with their only escape being to win the game. This newly created world is exactly what one would expect from your standard fantasy RPG. There are warriors, rogues, magic users, etc. Everyone needs to also trust and depend on the others in their party to survive. However, the author did a good job of crafting some new and unique weapons and upgrade options. It helped give the book a different angle than so many others in the genre. Think fantasy world blended with a few of the amenities of the modern world. Let me turn to the book’s characters. I felt the characters were overall well rounded and had good interaction with one another. I would have liked to have had some additional background on a few of the characters joining the party to help me better understand their actions. Each of the major characters had some issues that needed to be resolved as well as trust needing to be built for the party to succeed at their task. What complicates things even more is that the new beta program locks our unsuspected group in the virtual world where they will starve if they are unable to escape. The security protocols have all been compromised and our characters must win or parish due to starvation. This is where the main arc of the story picks up as they try all they can to escape the program and save their lives. The book focuses mainly on friendships with light romantic elements included. If I could change one thing, it would be the continued use of the word “Yo” by one of the party characters. The books narration was done very well and I enjoy John Pirhalla voice. I have listened to a few other books by this narrator including the Origin of F.O.R.C.E. series by Sam B. Miller II which I enjoyed quite a bit. His voice is mellow and pleasant to listen too, yet he is able to also keep things exciting during scenes of intense action. John was able to bring life and distinction to each of the main characters by giving them unique personalities and accents. He even included a few audio extras that make the book come alive in audio format. I do not recall any issues with the audio itself, only a professionally produced audiobook. I have to give the author credit as I do not remember any use of vulgar language in the book, nor any over sexualized sections. The book’s is designed to be read by younger audiences except from a few rather graphic scenes of violence. The book also does not fully address the tension between parent and child, as with most Disney stories, but I was happy to see that this book can be read by younger audiences; who I think will enjoy it quite a bit. In summary, if you like book in the LitRPG genre and you are wanting something a little bit different or unique, I would recommend you pick up Level Zero and give it a try. Most books in this genre often contain vulgar language or adult subject matter, where this book does not. It is a fun, interesting, yet rather dark view into the future of virtual reality. And remember, make sure to brush your teeth after eat your Vitapaste before going to bed tonight! 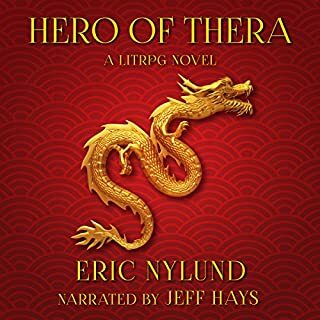 Audiobook was purchased for review by ABR. Very enjoyable! We listened to this on a long car trip. The family liked it so much that we got the next two books in the series. The vocals were great and easy to listen to. The story was very entertaining, but got a bit muddled on the specifics of how this virtual world works. Some of the mechanics of the virtual world and it's connection to the real world were a bit unrealistic. Overall, the characters were great and the plot was easy to follow. It was perfect for our car trip. Phantom's overuse of slang was highly irritating and I just dropped the book after she returned. It's an unnecessary world building detail to add "yo" to the end of any sentence and to do it for every other one. Maybe for a minor character that you see once or twice, but not what appears to be a major player. ok, in the beginning I really didn't think I would like this book, as I have never been a fan of shooter type games. Where does Level Zero rank among all the audiobooks you’ve listened to so far? This is a smart, beautifully described world set in the not too distant future. It's not all RPG mania. There is something much more deep and intelligent about this book. Don't get me wrong...pure RPGers will enjoy the action, but the more astute listener will clearly understand that the book is about technology warping what it mean to be human. The descriptions of the city, it's politics and culture reminded me of a mix between the movie Brazil and the book 1984. The plot is unique and the story moves at a fast pace. The narrator was outstanding. Creating voices for characters that are basically avatars had to be challenging. One character's voice purposely changes dramatically midway through from a youth to an adult. No spoilers here. I really enjoyed this book. Hope book 2 is just as good. I understand the MC is only 15, but he is the worst protagonist I have ever followed. He is completely self centered, and immature. He has the maturity level of a five year old who only knows one thing, instant personal gratification. His friend Xin is unrealistic. I know he is suppose to counter arcade but he too unnatural. I have lost all interest. now don't get me wrong,the performance was pretty damn good but something about it just irked me. I'm not sure if it was the voices used or the way it was inflected, but something got me. the story is well written and goes into an audio version quiet nicely. I'll have to check out the other two books as soon as possible.